Learn how AirNow's work has helped to keep us air aware over the past 20 years and what the program will do to continue this work into the future. The Environmental Protection Agency's 'AirNow' program has been around for 20 years to provide the public with accessible and easy to understand information about their air quality conditions in celebration of Air Quality Awareness week 2018 lets learn about the AirNow program. What is the AirNow Program? The figure above illustrates in general how the AirNow program works. Air Quality Monitors collected at local air quality monitors around the country - Visit the Capital Area Council of Governments to learn more about the monitors in the Austin-Round Rock region. The AirNow Program coverts the monitor data into an Air Quality Index (AQI). The AQI will advise the public on what actions they should take to reduce expose to polluted air. 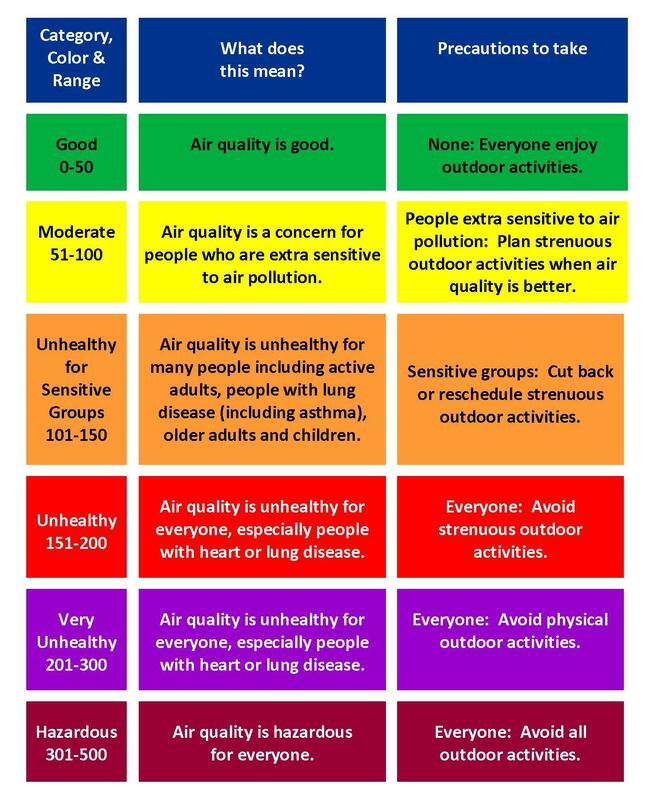 Everyday the Air Quality Index (AQI) tells you how clean or polluted your outdoor air is, along with associated health effects that may be of concern. The AQI translates air quality data into numbers and colors that help people understand when to take action to protect their health. Air Quality Forecasts - Nationwide daily forecasts. Current Air Quality Conditions - Nationwide and regional real-time ozone and particle pollution air quality maps covering 46 States and part of Canada. The maps are updated hourly. Flag Program: Schools, organizations, and the community know the daily air quality conditions by using colored flags. AirNow Tech & API: Password-protected portals that allow state and local agencies and other researchers to submit and track air quality data. AirNow International: A separate, international version of AirNow that allows interested countries to better manage their air quality data.